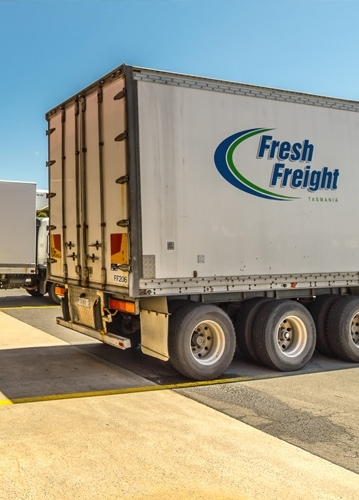 Fresh Freight Tasmania operates a comprehensive door-to-door freight forwarding service between Tasmania and Mainland Australia, 7 days a week service, specialising in the movement of refrigerated and ambient food grade product. It was established in 2003 to provide a real solution for perishable and other food product transport across Bass Strait. From commencement in 2003, Fresh Freight Tasmania has experienced significant growth. It has become a value-based transport on-forwarder, providing a premium service for Tasmanian producers to mainland markets, and importing from Mainland suppliers to Tasmanian retailers.